So much for tomatoes not ripening. This is a true case of ‘be careful what you wish for’. 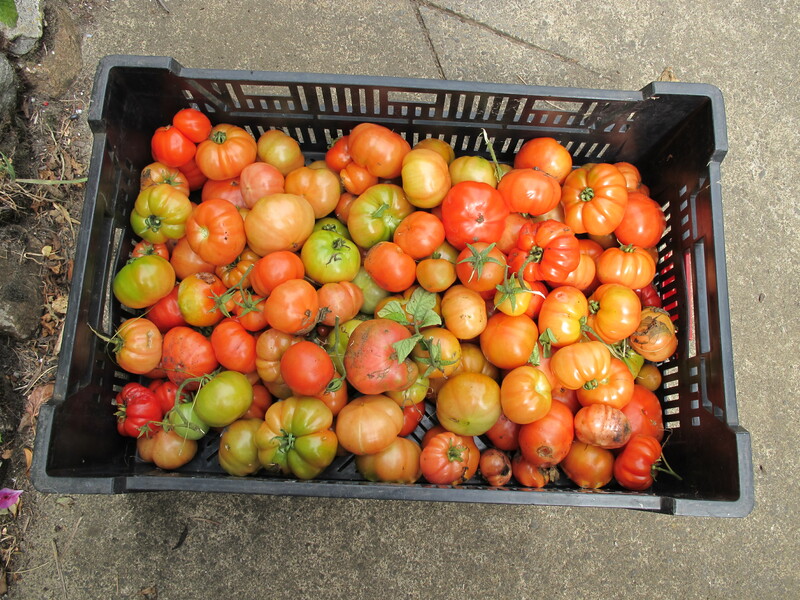 This crate-full is just from this morning’s picking. There are two more crates of ripe red tomatoes in the cooking school that will need bottling today.